Shine like a star, or the sun for that matter in this yellow wig. 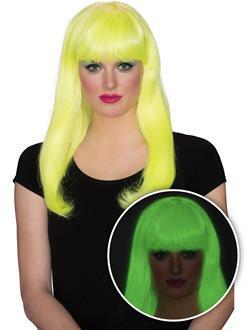 Introducing the Women's Yellow Glow Babe Wig! With its great characteristics, combined with your shining personality, you make a wonderful and one-of-a-kind combo that is sure to make others pay attention.